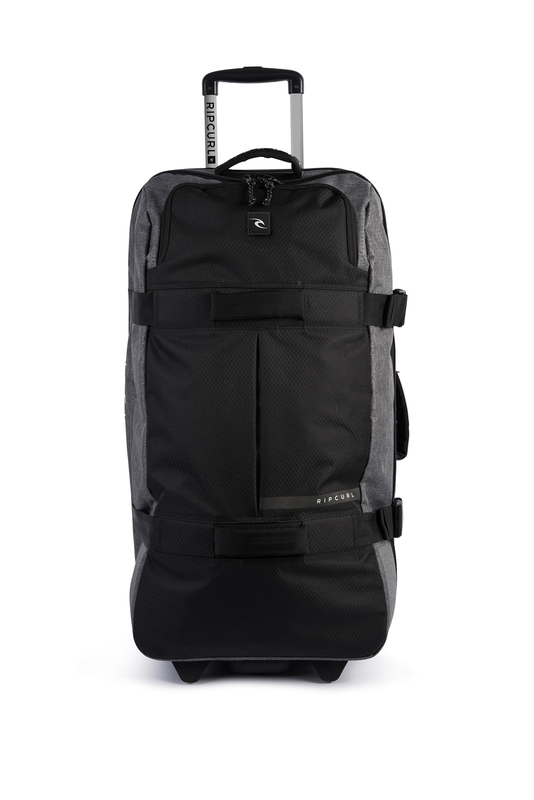 The Ultimate travel bag for long ride : FLight 2.0 Midngight. 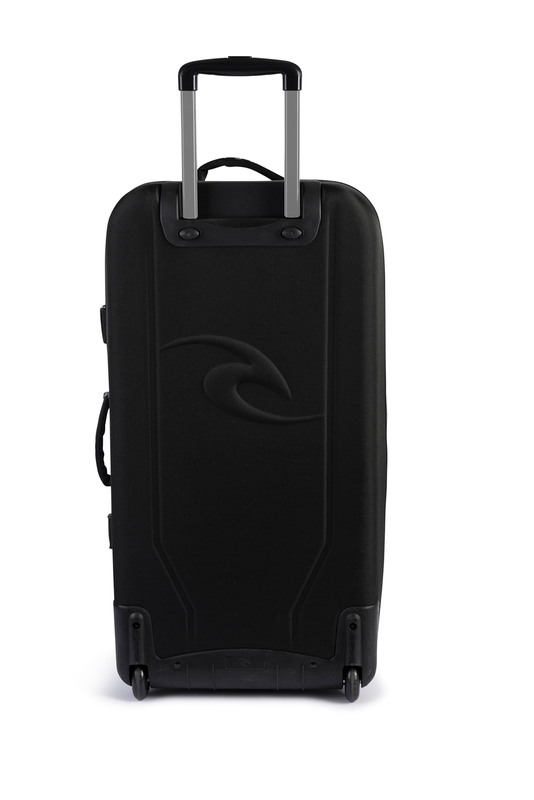 With an 100 liters capacity, you will never run out of room while packing. 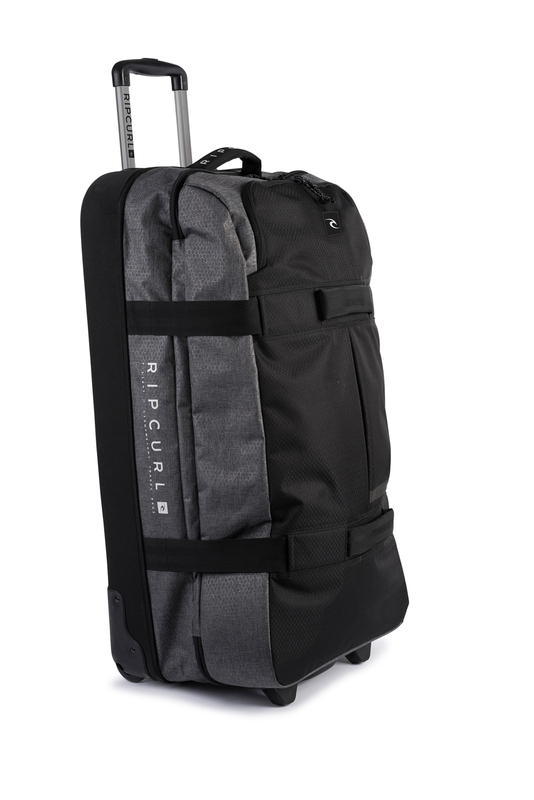 Complete with inline skate wheels, multiple carry handles and a lightweight compression moulded EVA base.